Please plan to attend and represent your organization! 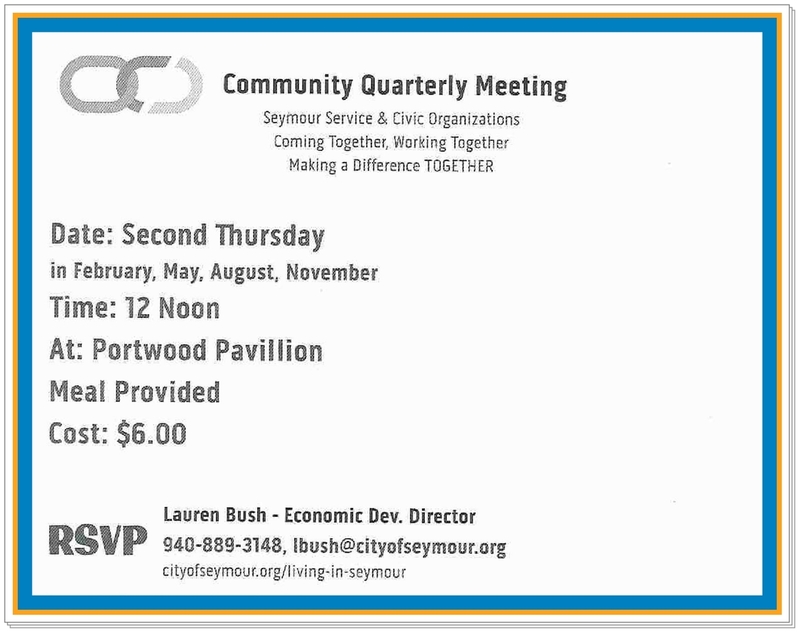 Seymour’s first Community Quarterly meeting will be held on May 8th at the Portwood Pavilion beginning at 12 noon. This meeting is for Civic and Service Organizations in our community and for those looking to connect with a group. 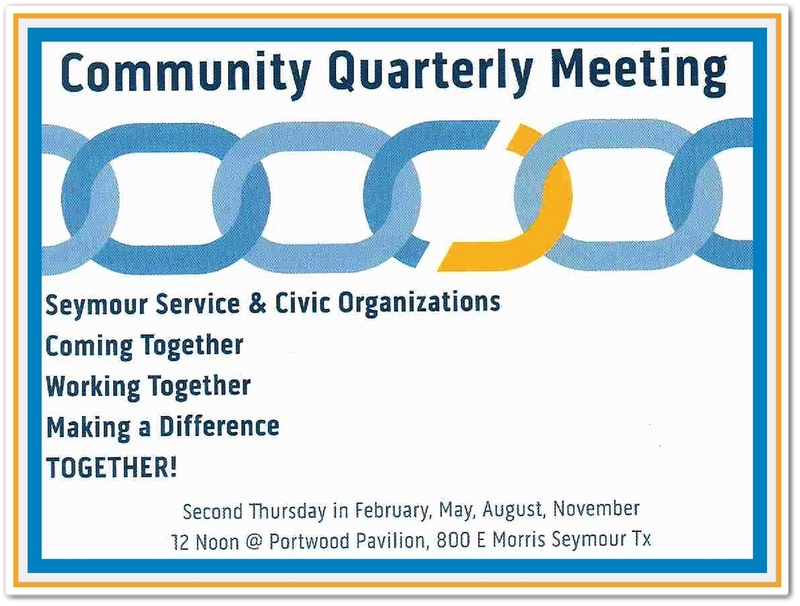 The purpose of this quarterly meeting is to communicate local events clearly, to encourage participation from each group, to help each other’s groups when needed, and to make all events in Seymour successful. Participation is key in creating a positive community environment that entices new residents to choose Seymour and anchors the hearts of those who are currently here. If you are interested in joining a service group, please attend this meeting and visit CityOfSeymour.org. Choose our Living in Seymour Tab. 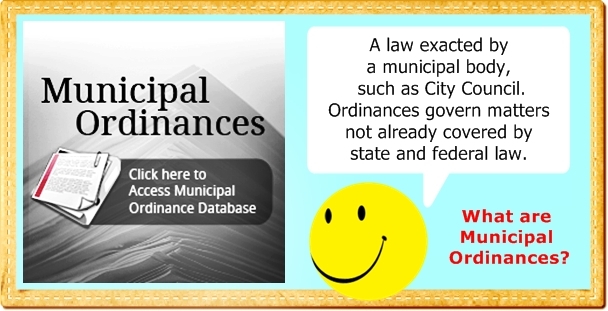 On the right hand menu, click on Participate and you will be redirected to a listing of civic and service groups in our area. If you would like to have your group listed on this page, please email Lauren Bush at lbush@cityofseymour.org and include a brief description, a contact name, and phone/email/website. I look forward to having a successful meeting with you all and seeing Seymour grow through participation and dedication.